Practice and Breathe with Balance and Grace. What an absolutely incredible week this was!!! Great crew, strong morning power practices, epic surfing, delicious locally sourced meals, relaxing sunset yin yoga, great hikes, and a lot of hammock time!! You should join us next year...... November 10-17 2018, Costa Dulce Beach Bungalows and Resort....... www.sathiretreats.com to reserve your spot. Reserve your spot for this year at www.sathiretreats.com ......... A few spots remaining!!! Power Yoga in the morning, surfing in the afternoon, sunset Yin Yoga, and plenty of time for hiking or just chilling in a hammock!!! 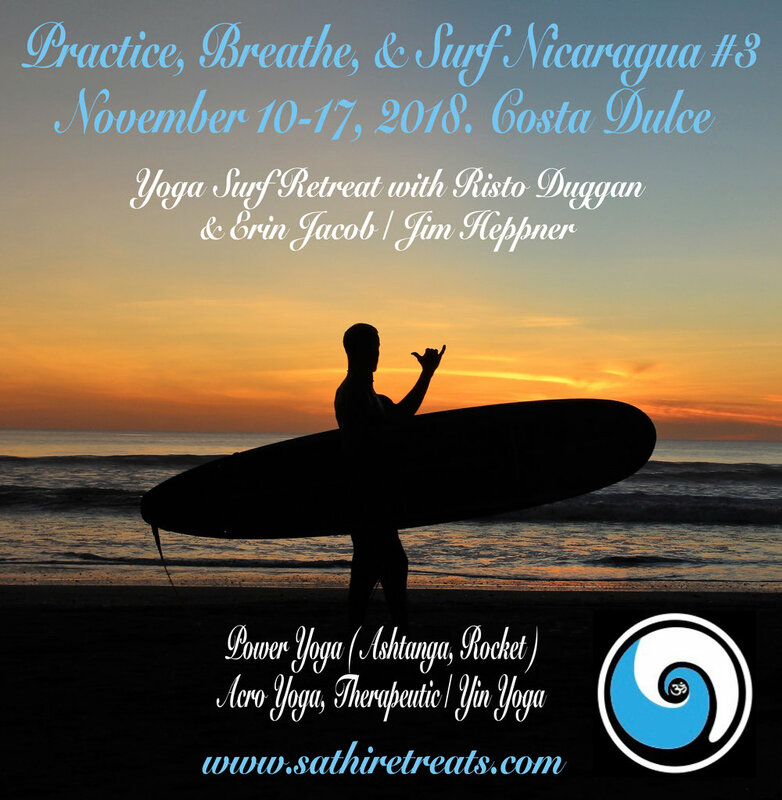 The 2nd Annual Practice, Breathe, & Surf Nicaragua is taking bookings now!!! November 11-18th..... More information and pricing to follow! !